Ferrari is one of the most popular car brands worldwide and its sports cars are undoubtedly one of the pinnacles of sports cars. 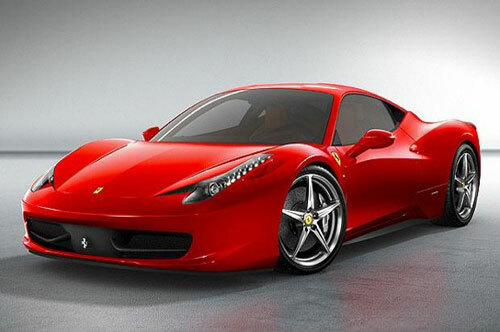 With its huge engine, sleek body and speed, Ferrari has won millions of hearts among car lovers. Here you can find the the top 10 Ferrari makes and models throughout history. Ferrari Testarossa: The Ferrari Testarossa is a 12-cylinder sports car which went into production in 1984 by Ferrari. The word Testarossa means “redhead” in Italian. 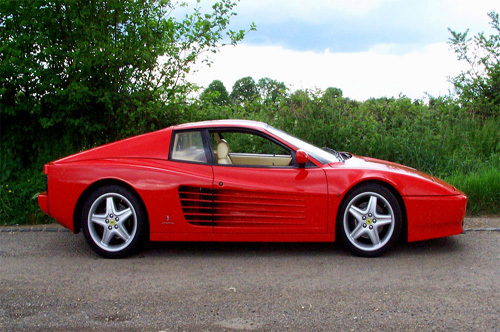 The reason behind the production of Ferrari Testarossa was to fix the issues in the cabin that got heated from the indoor plumbing which ran between the front-mounted radiator and the midships-mounted engine and a lack of luggage space. Ferrari and Pininfarina designed Testarossa to fix these problems which were found in its predecessor, the Berlinetta Boxer. Hence Ferrari Testarossa was created with an extra storage space behind the seats and an inch taller than the Boxer. Ferrari 250 Testa Rossa: The Ferrari TR or 250 Testa Rossa was built by Ferrari during the 1950s and 60s. This was a race car model which dominated their arenas and won the 24 Hours of Le Mans in 1958, 1960, and 1961. 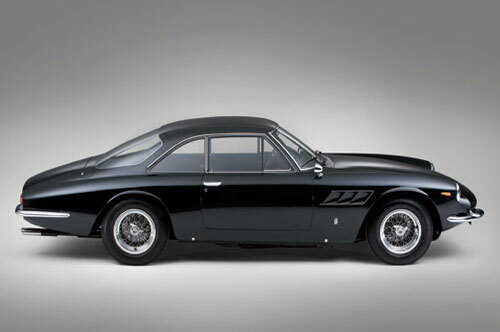 This model was closely related to the rest of the Ferrari 250 models, especially the most popular 250 GTO model. 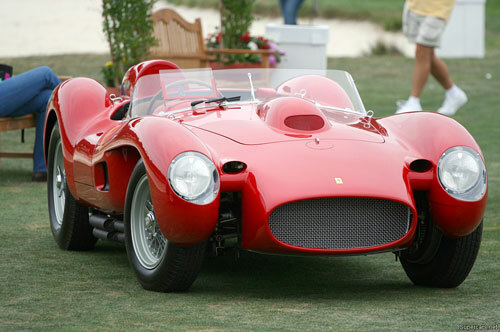 The 250 Testa Rossa is the second most valuable model among all the ferrari’s which costs more than US$8,000,000. This car created a new world record on May17th, 2009 for being sold at $12,100,000. Ferrari 250 GTO: The Ferrari 250 GTO is a sports car which was manufactured by Ferrari in the early 1960s. The term GTO stands for “Gran Turismo Omologato” in Italian while its numerical part denotes the displacement of the cylinders of its engine in cubic centimeters. The GTO was sold at $18,000 in the United States, and buyers had to be approved by Enzo Ferrari and his dealer. In 2004, this car was ranked eighth among all the top sports cars of the 1960s by Sports Car International. Motor Trend Classic placed ranked this car as the first on a list of the “Greatest Ferraris of all time”. This car also won the World Manufacturer’s Championship consecutively in 1962, 1963, and 1964. Ferrari 500 SuperFast: Ferrari America is a series of Ferrari models which were manufactured during the 1950s and 1960s. These were large touring cars with large V12 engines and custom bodywork. The end of these top-line America series cars was the 1964 500 Superfast. These cars were called as ‘Superamericas’ during its production but later it was decided to use “Superfast” instead. It had a 5.0 L Ferrari Colombo V12 engine, with 400 which allows the car to a speed of 275 km/h (171 mph). Ferrari 458 Italia: The Ferrari 458 Italia which is produced by the Italian sports car manufacturer Ferrari was a mid-engined sports car. This model replaced the Ferrari F430. This car was unveiled officially on 15 September 2009 at the Frankfurt Motor Show at a cost around $170,000. Though this car was considered as the successor to the F430 model, it had an entirely new design and technology developed from Ferrari’s experience in Formula 1. 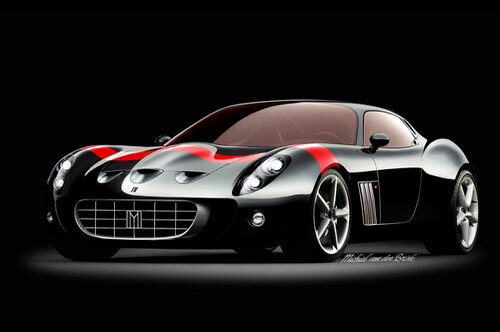 This car has been designed to be Ferrari’s sportiest V8-engined car. 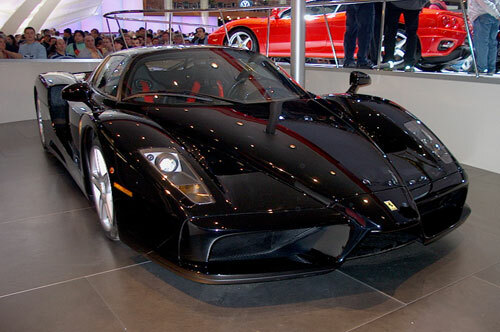 Ferrari Enzo: Ferrari Enzo has been the craze among car lovers. The Enzo Ferrari uses Formula 1 technology which has a twelve-cylinder engine and named after Enzo Ferrari, the company’s founder. It has a Carbon fiber body, carbon-ceramic brake disks and active aerodynamics. This beautiful car has won the hearts of Ferrari lovers. It costs about $1,000,000. 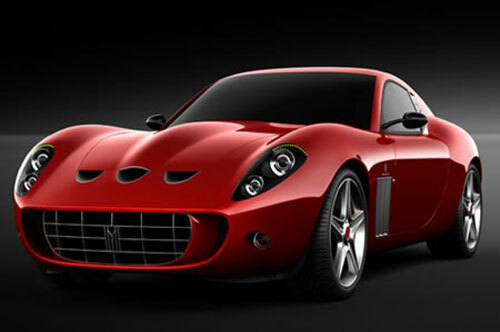 Ferrari 599 GTO: The official details of the 599 GTO were announced by Ferrari on 8 April 2010. This car is similar to the 599XX model. Ferrari declared that the 599 GTO is their fastest road car ever, which was able to complete the Fiorano test circuit in just 1 minute and 24 seconds, which is one second faster than the Ferrari Enzo. This car can reach 100 km/h (62 mph) in just 3.35 seconds with a top speed of over 335 km/h (208 mph). The GTO designation was only given to two other Ferrari models; the 1962 250 GTO and the 1984 288 GTO. Ferrari FXX: The Ferrari FXX is a race car built by Ferrari in Maranello, Italy. 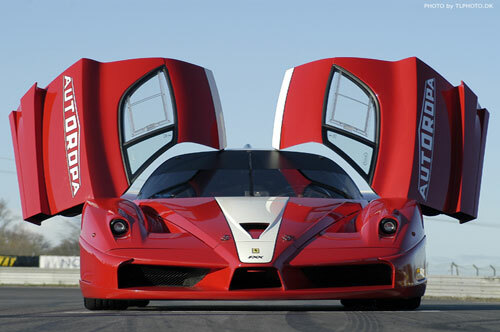 The FXX is constructed based on the Enzo model. The Production of this FXX model began in 2005. This car was constructed with a few technologies from the Enzo model and some new developments from Ferrari and its suppliers. Ferrari built 30 FXX models though it was originally planned to be 29. Among the 30 cars, 29 cars was sold to pre-selected past Ferrari customers and the 30th car was retained by Ferrari S.p.A. This car was given as a present to Ferrari’s F1 World Champion driver, Michael Schumacher when he retired from Formula One at the end of 2006. Schumacher’s FXX model differs from others; it is the only black FXX without a stripe and has a red trim on the wheels with his personal logo stitched on the racing seats. Ferrari 125: The Ferrari 125 S which is commonly referred as 125 or 125 Sport was the first vehicle manufactured by Ferrari of Modena, Italy. 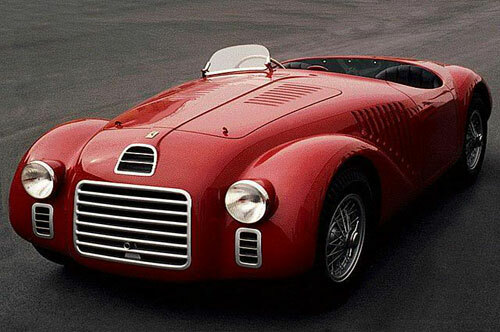 Though this model was preceded by Auto Avio Costruzioni 815 of 1940, this was the first vehicle to bear the brand Ferrari when it debuted on May 11, 1947. This was a racing sports car like the 815 model with a V12 engine, a trait which is shared by most Ferrari cars. This 125 S mode was replaced by the 159 S model. Ferrari GT4: The Ferrari 308 GT4 was a mid-engined V8 powered car built by Ferrari. The 308 GT4 was introduced in 1973 and the 208 GT4 was introduced in 1975. These cars were later replaced by the Mondial 8 after a production run of 2,826 vehicles in 1980. Until 1976, these cars were sold with “Dino” badging and later they were replaced with “Ferrari” badging. The 308 GT4 was a groundbreaking model for Ferrari in several aspects: It was the first production to feature the mid-engined V8 layout and the Bertone bodywork instead of Pininfarina.